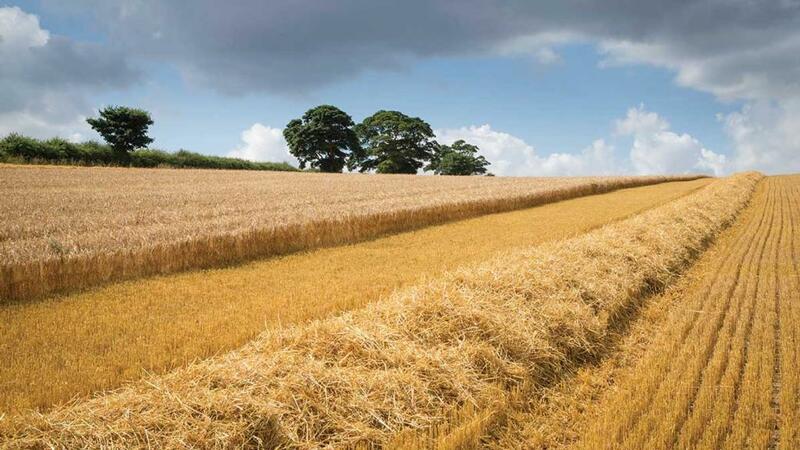 Livestock farmers were keen to secure supplies of straw, driving up prices at recent sales. Straw prices have reached ‘unprecedented levels’ with livestock farmers looking to secure supplies as a nationwide shortage hits. Halls auctioneer Peter Willcock said prices had reached between 50 per cent and 100 per cent higher than this time last year with a shortage of straw all around the country. Livestock farmers were being forced to compete at auctions with prices going ‘ever upwards’ with many concerned about having adequate stocks. Mr Willcock said there were ‘lots of reasons’ for this increase, including the hard winter and current drought and land being used to grow alternative crops such as maize for digesters, with slightly fewer crops now available for straw. He said: “The levels we are seeing are completely unprecedented. We are seeing livestock farmers having to go out and buy straw now because of the shortage of grass. He added many livestock farmers were hedging their bets and buying now in case prices got ‘even dearer’. More than 100 buyers were at the recent sales in Shropshire and Welsh livestock farmers in particular were showing a ‘great deal of interest’ with some travelling up to 40 miles to be at the auction.